With Ted’s birthday party taking place just 3 days after we returned from our holiday with Eurocamp I was a trifle rushed with the preparations. 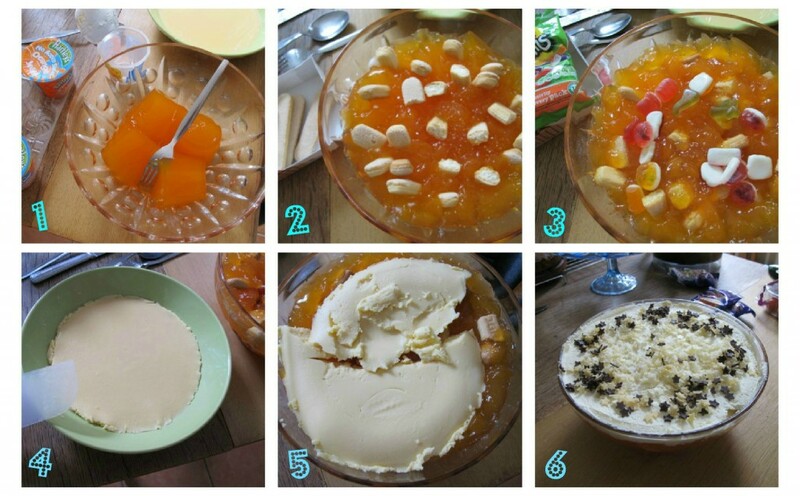 Read about how I made a cheat’s trifle in under 90 minutes in my first post on the brand new BabyCentre blog which you can find at Baby.co.uk Along with Jacc at Tinned Tomatoes and several other parent bloggers, I will be posting on the BabyCentre blog weekly. It will be in the familiar tone I bring you here but with an emphasis on things a harassed parent can make without feeling too stressed out! Please do hop on through to my author profile on BabyCentre to see my posts. This looks gorgeous! I love the added sweeties!